This is our first newsletter for the new year. As always, everything in our office is moving at a fast pace, with short deadlines in many instances. In March, we were involved in 3 Trials. We had a Capital Death Penalty in Galveston with Bob Loper and Gerald Bourque, a Capital Death/Life in Harris County with James Stafford and Randy McDonald, and a Kidnapping case in Harris County with Patti Sedita, all going on simultaneously. Included with this issue are the new 2011 Court Directories for Harris County and surrounding counties, Fort Bend, Montgomery, Galveston and Brazoria. We made a diligent effort to document accurately all the changes in the Judges and Court Personnel as a result of the November 2010 Election. Please call Lisa at our office should you need more Court Directories. I would like to personally thank Robert Fickman, Lori Gooch, Gary Polland, Phillip Hilder, Kate McConnico, Stanley Schneider and Robert Morrow for new client referrals. There is no doubt that this year will be challenging as usual. You will notice later in the newsletter we have made some additions to our staff that will allow us to continue to deliver work product in an accurate and timely basis on our diverse case load. In February I was interviewed by Inc. Magazine on how a Private Investigator could obtain intelligence on competitors for business clients. We covered a number of topics during the course of the interview, which involved cold calling, surveillance, Internet research, identification and interviewing of former employees and even dumpster diving to obtain discarded information. The author of the article seemed to really like the dumpster diving portion of the information, which of course is the least glamorous. I was informed that the article was going to come out in the April issue, but I had no idea what the author was actually going to write. Inc. also requested a photograph, which they were going to run with the article. The magazine came out last week without my photographs. It took me a while to look through the magazine to find the article. There it was on page 80 entitled “Garbology 101” Burt Helms, the Senior Writer for Inc. quoted myself and Richard Horowitz, an attorney who works on Competitor issues. I found I was accurately quoted quite a bit during the article, which encompassed half of page 80 and all of page 83. We all like to be memorialized for finding the kidnapped victim alive, solving the Murder for Hire mystery and other glamorous investigations. As I was told by an associate, any article with your name in it was important, even if it was about garbage. Carey Wellmaker left our firm after 10 years of service “to follow her path.” Carey was a dependable and result oriented member of our staff, who will be missed. We all wish Carey the best of luck in her new endeavors. 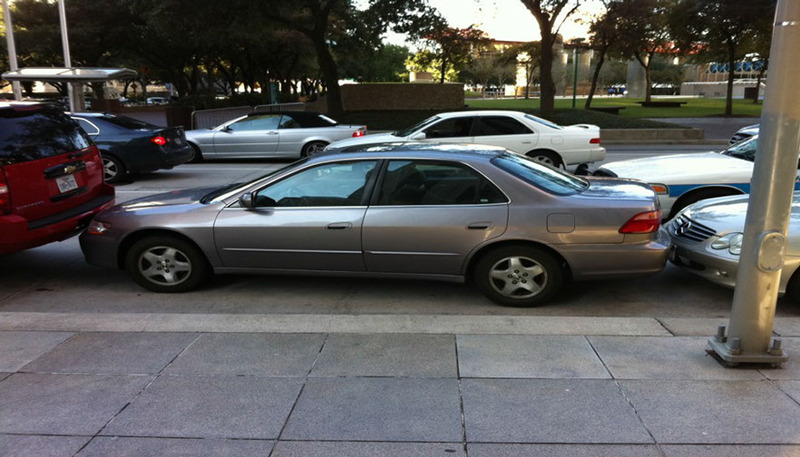 One of our attorney clients managed to back his car into this parking space near the Federal Courthouse. The individual who owned the white Mercedes behind our client’s car flagged down a Police unit and told them that our client had broken his right front headlight and had refused to provide insurance information. The Officers were more focused on our attorney client than inspecting the car damage that could not have possibly been done at that time. As the conversation escalated, our client was arrested for Failure to Give Information. Bob Loper represented our client in court and was able to get the case dismissed at the first setting. A very infrequent type of victory. I have withheld the client’s name in order to protect the innocent. I still want to know how he was able to maneuver his car in that parking space. Efrain Gutierrez, a former associate of Cindy Klein at the FBI, has agreed to come aboard as an Investigator. Efrain was a Special Agent with the FBI in the Houston Office from June of 1987 to May of 2001. Efrain led investigations in drug, white collar and foreign counter intelligence cases, that resulted in the prosecution of numerous defendants and the seizure of millions of dollars for the U.S. government. Efrain served as a squad investigative team leader, SWAT team member and was a certified undercover agent. Efrain also provided security during international events, such as the Atlanta Olympics, the Montana Freeman Standoff, The G8 Economic Conference and other major national events. Efrain also supervised 20 language specialists and translators and helped develop new procedures that included timeliness and accuracy of translated material. After his tenure with FBI, Efrain was a regional director in Mexico and Central America for a security company that specialized in business operations, evacuation plans, security assessments and personal protection for management and employees for Inc. 500 companies doing business in Mexico and Central America. More recently, Efrain has been a teacher in the Katy Independent School District for Spanish Instruction. Efrain brings a very diversified qualification package, which will certainly assist us in continuing our quality efforts in criminal defense. Efrain’s corporate experiences will be invaluable in helping us with the growth and investigation of corporate clientele. I am happy to announce that Robert Randle came aboard as a Field Investigator at the beginning of February this year. Robert possesses a Bachelor of Arts and is a retired school teacher, having taught at Willowridge High School from August of 1989 to June of 2010. 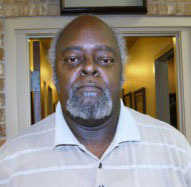 Robert also was an assistant football coach and possesses a great deal of experience in dealing with juveniles. Robert brings a set of skills to our organization that enables him to work in the field with our younger defendants and witnesses. Robert has shown a talent to set these individuals at ease and obtain information that we need to meet our case goals. Robert’s initial assignments have produced great results in areas of town that would be considered challenging to say the least. We have just developed a handbook for corporate clients that simplifies the complicated structure and legal issues regarding the backgrounding of potential employees. The booklet also explains the nuts and bolts of background investigations, the type of information that can be obtained and how the information can be interpreted in making a decision on whether to employ the prospect or not. Businesses suffer thousands of dollars in financial loss, inventory loss and employee morale when hiring individuals who have not been properly backgrounded. We have found on many occasions while conducting corporate investigations, that the suspects stealing from their employers have criminal history not identified prior to their placement. Money spent on thorough backgrounds always save an employer money, legal fees and morale problems down the road. Our comprehensive booklet will be provided to any requestor free of charge. When the Prosecutor sees your lawyer, they high five each other. Your lawyer picks the jury by playing duck duck goose.